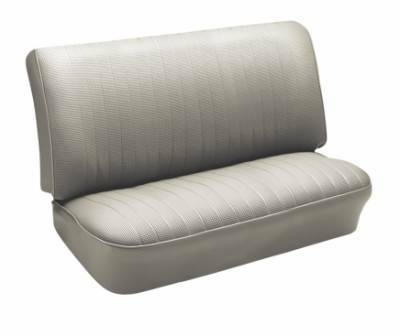 This classic-style upholstery features a 12" insert for a great look. 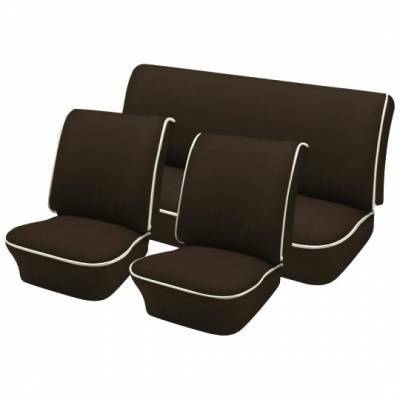 Choose from cloth and vinyl or all vinyl upholstery. 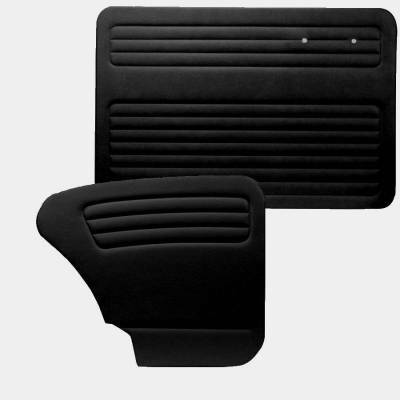 We offer a variety of carpet colors and styles for your Volkswagen. 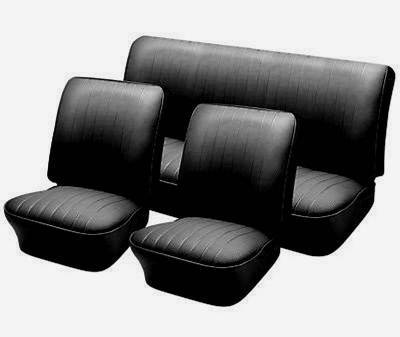 Front, rear and trunk, all are color correct and made to fit your specific model. 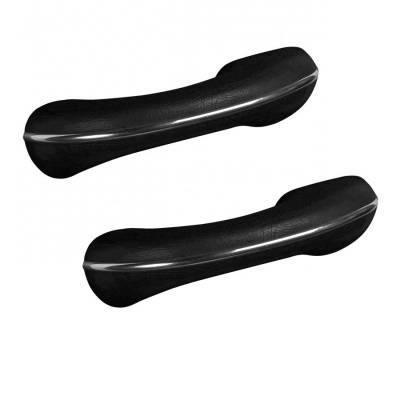 From TMI Products. 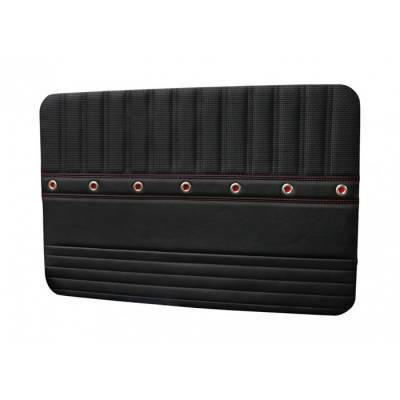 We carry a variety of replacement convertible tops and accessories. All made by TMI in the USA. 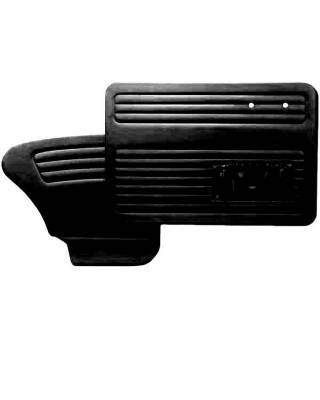 Choose from standard, molded Sport R, Sport X and Sport XR replacement door panels for your classic Camaro. 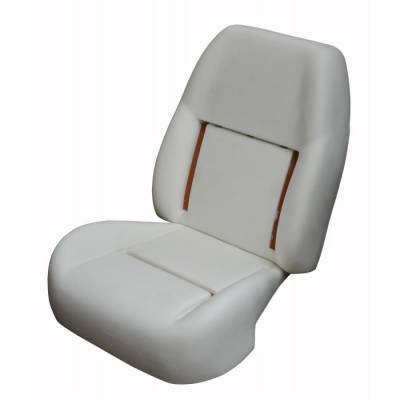 TMI's OEM Classic-Style Upholstery features the classic smooth leatherette vinyl with off-white piping for contrast. Choose from all OEM colors. 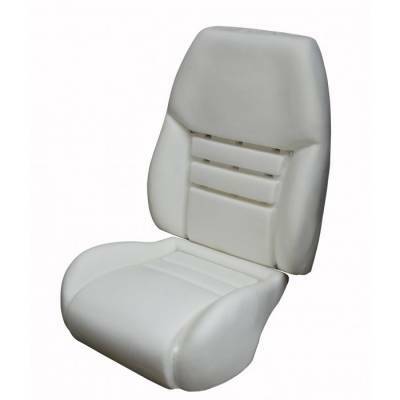 Original and Sport style replacement seat foam for your 1966 - 77 Ford Bronco. 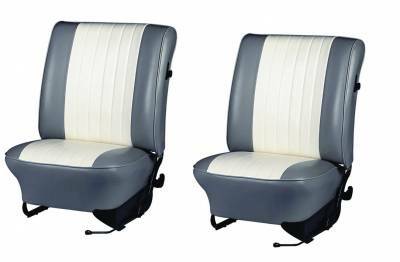 Original style replacement upholstery for for your Bronco in your choice of colors, as well as TMI's Sport Seat Upholstery for a truly custom look! 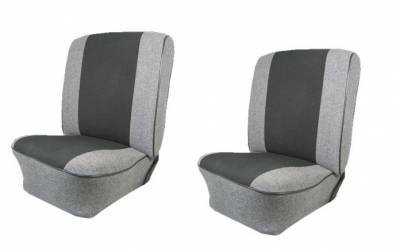 TMI's Slip-On Style Upholstery is an exact replica of the original style, but utilizes velcro for a super-easy installation. 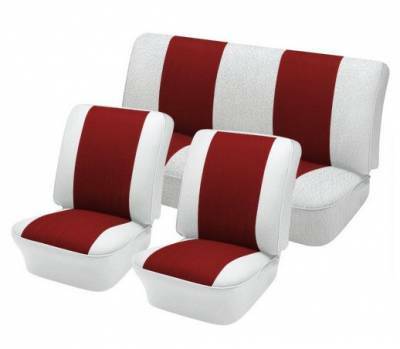 Intalls over your existing upholstery. 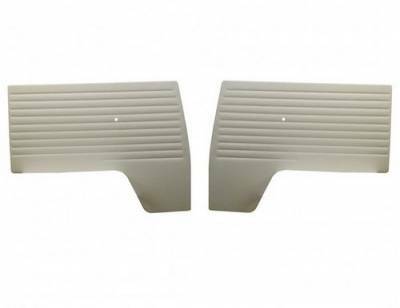 Replace those faded, torn or missing door and quarter panels with factory-correct panels from TMI Products. 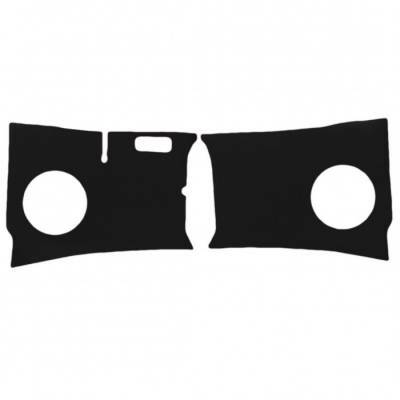 Replace your faded, torn and scratched sun visors with new visors from TMI. Available in your choice of colors. 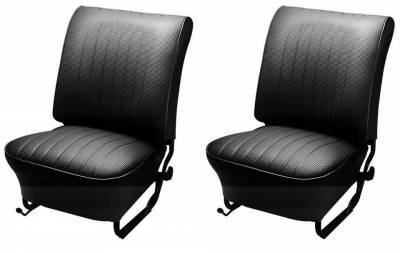 We offer replacement OEM-style upholstery for Type 3 Notchbacks, Squarebacks and Fastback, 1961 to 1974. 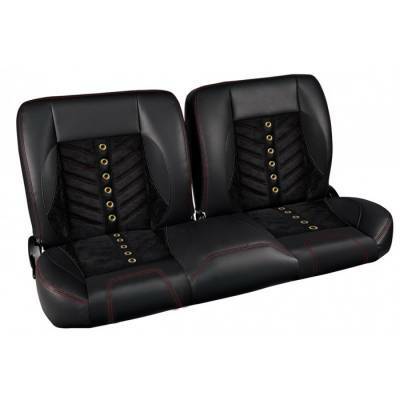 Made in the USA by TMI Products. 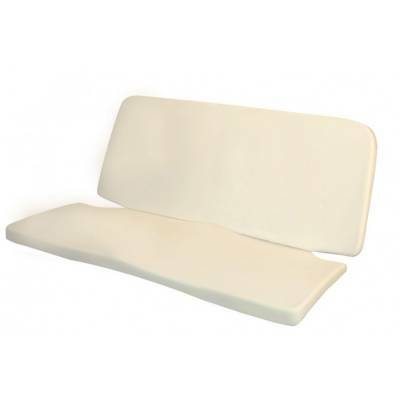 Replacement seat foam for your Type III Fastback, Notchback or Squareback Volkswagen. 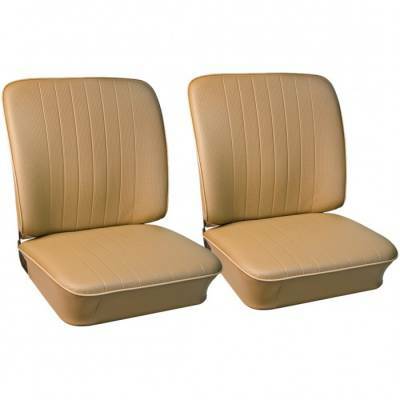 We carry replacement door panels for 1961 - 74 Type III Fastback, Notchback and Squareback VW's. Made by TMI right here in the USA! Replace that tired carpet with new carpet from TMI! All types and colors available. Great quality, low prices and a great selection are waiting for you and your Volkswagen. 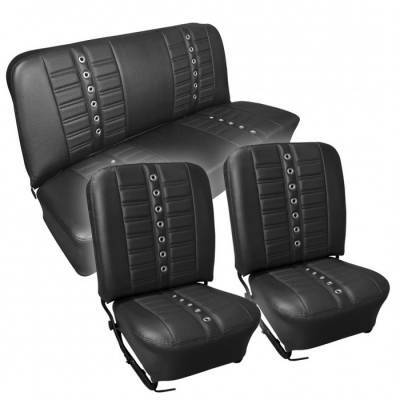 Description: 1948-56 Ford Truck Sport Pro-Classic- Complete Split Back Bench Seat Black with your choice of stitching. 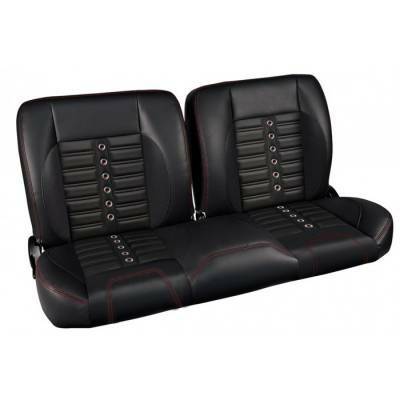 Description: 1948-56 Ford Truck Sport R Pro-Classic- Complete Split Back Bench Seat Comes in black vinyl & Suede Inserts with your choice of contrast stitching. 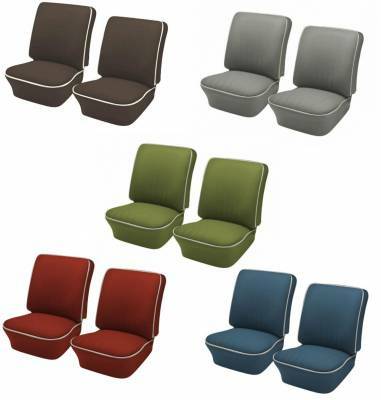 If you are looking for a more customization or color options please call us. 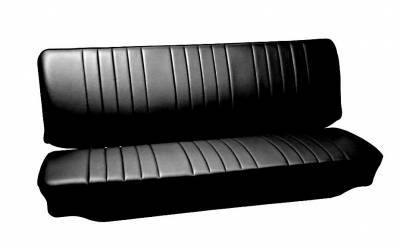 Description: 1950 - 62 VW Volkswagen Bus Full Front Bench Seat Upholstery Original style front bench seat. 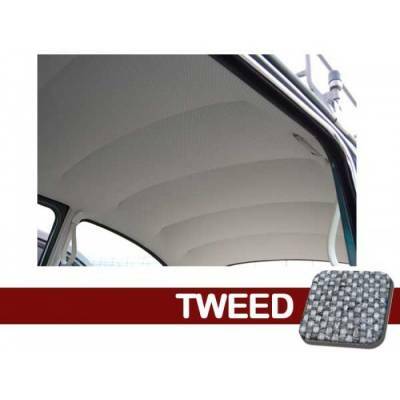 Basket weave, square weave or smooth leatherette vinyl in your choice of OEM color. 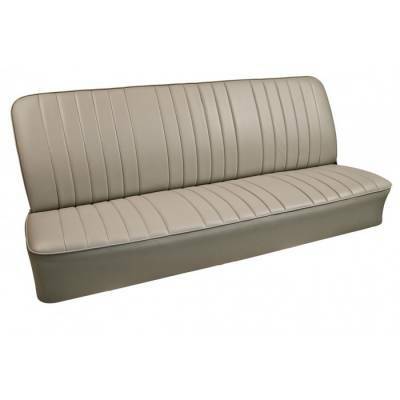 Description: 1950 - 67 VW Volkswagen Bus Full Rear Bench Seat Upholstery Original style rear bench seat. 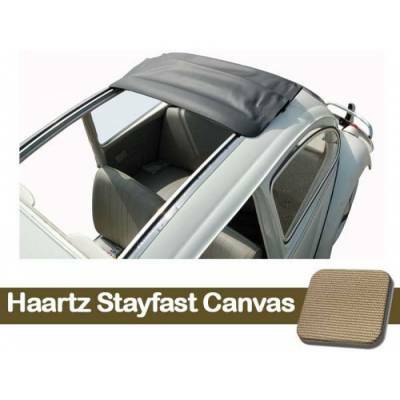 Basket weave, square weave or smooth leatherette vinyl in your choice of OEM color. 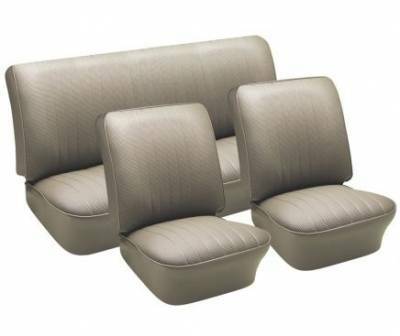 Description: 1950 - 73 VW Volkswagen Bus 3/4 Middle Bench Seat Upholstery Original style 3/4 middle bench seat. 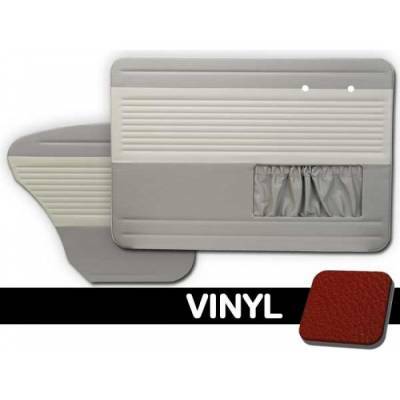 Basket weave, square weave or smooth leatherette vinyl in your choice of OEM color. 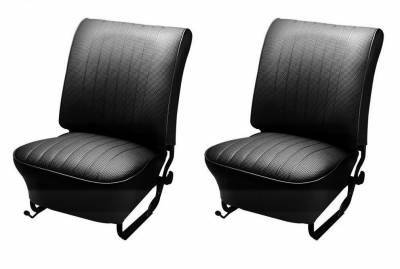 Description: 1954-1979 Volkswagen Beetle Bug Molded Foam Seat Padding Kit (Rear Seat Bottom & Backrest) Restore that lumpy, sagging foam with TMI's molded seat foam. 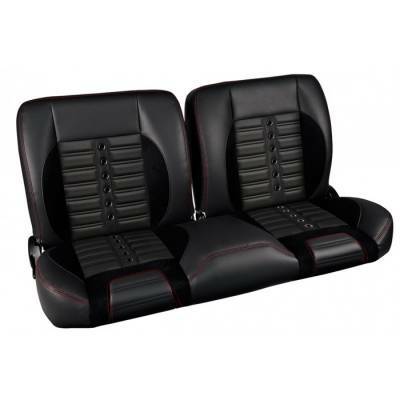 Fits sedan and convertible models. 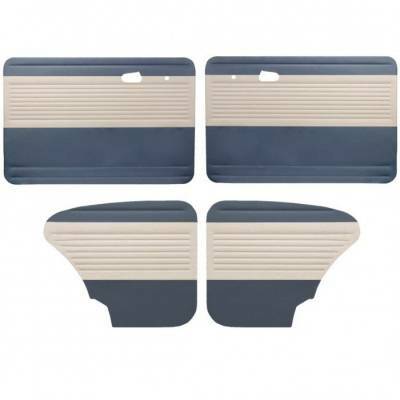 Description: VW Door Panels Complete 7pc. 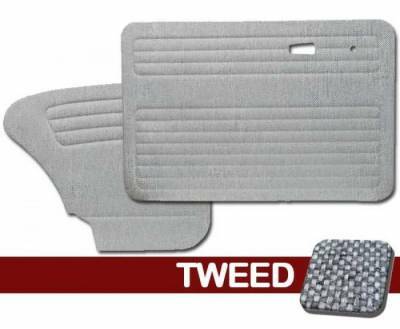 Kit 1955 - Early 61 Bus, Crew Cab Your Choice of Tweed Color: Black Charcoal Light Grey Sapphire Sand Note: These are custom order. 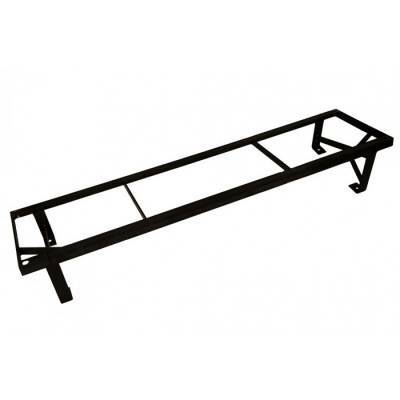 Please allow 4 - 6 weeks for fabrication and delivery. 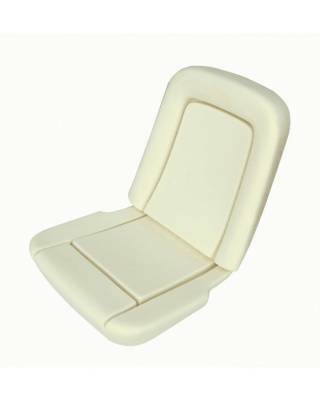 Description: Molded Foam Seat Padding Kit (Front Bottom & Backrest) 2pc. 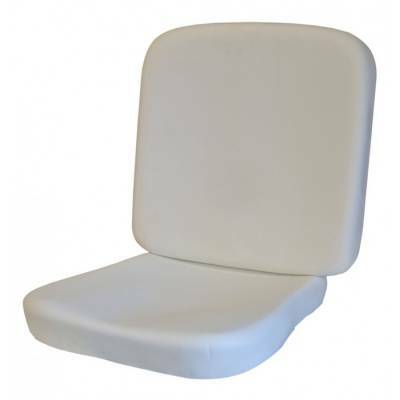 1956-64 VW Bug Sedan or Convertible & 1961-64 Type 3 Restore that lumpy, sagging foam with TMI's molded seat foam. Fits sedan and convertible models. 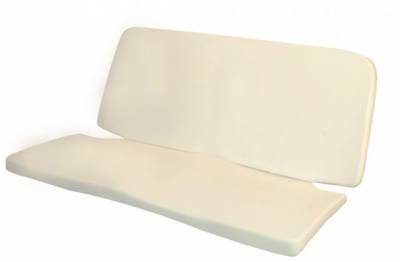 Description: 1956-74 Volkswagen Karmann Ghia Molded Foam Seat Padding Kit (Rear Seat Bottom & Backrest) Restore that lumpy, sagging foam with TMI's molded seat foam. Fits sedan and convertible models.